Holy Bats in the House, Man! - Yes Pest Pros, Inc. Holy Bats in the House, Man! - Yes Pest Pros, Inc.
Holy Bats in the House, Man! family, especially to those with a compromised immune system or to those that are very young or very old? Batman may be a comic book and Hollywood hero, but the reality of what bats can do is very, very different. If you’ve ever seen a nature documentary on bats and where they live, you probably remember cave floors covered in feet of bat droppings. This is the most obvious threat to homes across Indiana. 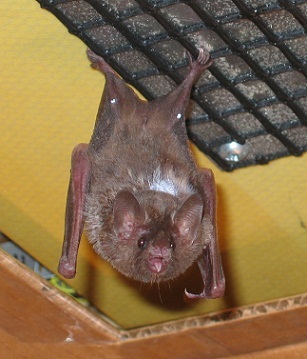 Bat droppings can be downright toxic to breathe in and while a single bat likely won’t carpet your attic, a growing bat problem can, so it is always a good idea to call the Indiana exterminators at Young Environmental Services as soon as you suspect a bat problem. Nipping things in the bud is essential. A possible bat infestation carries with it threats even greater than toxic bat droppings. Bats are very common carriers of rabies, one of the most devastating neurological diseases in the world. Those who contract rabies must undergo an extremely painful series of shots or risk death. You simply don’t want to risk exposing anyone you love to this devastating disease. Contact Young Environmental Services if you have found evidence of a bat in your home. They can eliminate the bats that have gotten into your home and then help you bat-proof your home so you don’t have a continuous cycle of re-infestation. Along with rabies, bats are common carriers for a wide variety of other pests including bed bugs, fleas, ticks and other vermin. A bed bug infestation can last for months and cause you to completely change your life, as can a battle with fleas. Don’t let these pests take hold in your home. Cut them off at the past with a little help from an Indiana pest control company such as Young Environmental Services. YES Pest Pros guarantees their bat treatment, so why call anyone else? Bats may be interesting to watch on the National Geographic Channel but they belong outdoors where they can eat insects and be part of the natural order of things. They don’t belong in your home. Contact Young Environmental Services today if you have a bat issue in your home.